ExecutiveBiz talked with Gene Colabatistto, president of defense and security at CAE, about his aviation systems experience, the Air Force’s pilot shortage and the path to flight training simulator standardization. ExecutiveBiz: You have over 25 years’ experience holding leadership positions in the defense industry, with both the military and private sector. How has your background prepared you for your current role? Gene Colabatistto: I spent about 10 years on active duty and another seven or eight years as a drilling reservist. For those working in the defense industry, this experience is extremely beneficial because it gives one a keener perspective on the way the military regards its roles, missions and functions. It also helps provide perspective on how the military sees different requirements and which they value most. Being empathetic to your customers’ needs is crucial. You have to be able to think like them. On the commercial side, my career has been varied, with most of it focused on the space part of the aerospace industry, involving a lot of work with intelligence, surveillance and reconnaissance systems. Now in my sixth year at CAE, I’m applying lessons from the previous five to our strategy and execution going forward. The best thing I’ve learned overall is that the market constantly evolves, and that evolution is reflected in the buying habits of defense customers. 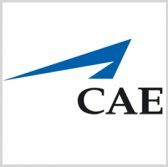 ExecutiveBiz: How is CAE addressing the Air Force’s pilot shortage? Gene Colabatistto: The U.S. Air Force and Navy recently published statistics indicating that for fighter pilots they were short 27 percent of their required force strength, a number which I believe exceeds a thousand fighter pilots. If you look at the next 10 to 15 years, that shortage is only projected to grow. Not having enough pilots puts our military readiness at risk, which in turns puts our country’s ability to carry critical missions and defend itself at risk. The pool of future fighter or commercial airline pilots isn’t as big as it used to be, so we’re seeing new training techniques and philosophies more tailored to the individual student. If he/she is already good at something, instructors don’t need to spend as much time on it. Vice versa, for any weaknesses. We’re adapting new training techniques to give instructors the tools to provide more targeted correction of weaknesses, and not just test students on a pass/fail basis. We want to make sure all the most highly-qualified individuals make it through training. ExecutiveBiz: In December of last year, you said the training and simulation industry is moving toward the standardization of interoperable aircraft simulators. What has CAE’s role been in this standardization? 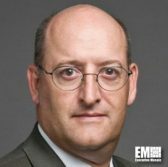 Gene Colabatistto: One of the biggest interoperability successes we’ve had is implementing into our systems the Common Database Standard (CDB), geospatial standards accepted by the defense industry. But interoperability is only a means to an end. We surveyed aircraft simulators worldwide and found that 98 percent of them are network devices. If you were to buy a new electronic tablet or laptop, you would expect that within a few minutes you’d be able to send an email, without having to think about the level of standardization required to achieve that. At CAE, we want the same level of interoperability for aircraft simulators. In November, we announced a collaborative agreement with Rockwell Collins to develop integrated live, virtual and constructive (LVC) training systems. We conducted a joint demonstration of an integrated mission training exercise – using interoperable LVC training elements – at the 2017 Interservice/Industry Training, Simulation and Education Conference and took home “Best in Show” for a technology demonstration. The event drove home the fact that the technology is out there; it’s just a matter of putting it into practice. ExecutiveBiz: What do the next 12-14 months look like for CAE? What new markets do you see your group expanding into? Gene Colabatistto: We’re very committed to military aviation and the aviation market which comprises most of our work, but not all of it. We now have a strong foothold with many naval programs around the world. We’re doing some notable work for the EU, we just finished a project for the Swedish Navy and we’re providing support for UAE naval training centers across their country. Also, we’ve had some recent successes on the land side, especially where we can apply higher technologies like our war gaming systems which are the NATO standard. Using our training systems as a basic building block, we’re now starting to create a joint operating environment for a nation’s armed forces. In short, we’ll be continuing to advance our position as a training system integrator and look for opportunities to take on more of the training responsibility for aviation-oriented defense programs. Before joining CAE, Gene Colabatistto was a senior vice president at SAIC, and served as president of the Olive Group North America and Space Imaging Solutions.